Sappi is unveiling a paper-based packaging solution, developed in partnership with Felix Schoeller, at Interpack 2017. In January this year, Sappi Europe and Felix Schoeller signed a a collaboration agreement to jointly develop sustainable barrier paper solutions for flexible packaging applications. The initial paper-based packaging solution is part of the Sappi Guard range. The solution features high barrier properties with integrated barriers against water vapour, oxygen and grease. It also has sealing properties. Sappi said the 100 g/m2 paper composite is a sustainable solution and serves as an alternative to existing commercially available plastic and aluminium packaging. The solution, which has been developed for the food sector, features 80% of renewable raw materials. Sappi Packaging and Speciality Papers head of business development René Köhler said: "We are very proud that, despite the publication of our cooperation agreement only in January 2017, we are already in a position to announce a solution. Sappi Europe’s Packaging & Speciality Paper business unit manufactures speciality paper and carton board. The company’s sustainable products address future challenges and trends as well as the requirements of the packaging market. Felix Schoeller produces high-quality papers for analogue and digital photo printing, digital printing, nonwovens for the wallpaper industry, decor papers and release liners. The company is also developing flexible food packaging solutions. 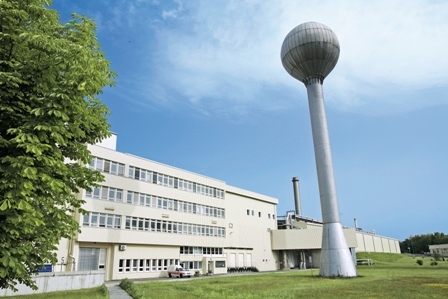 Image: Felix Schoeller production site Weissenborn, Germany. Photo: courtesy of Felix Schoeller Group.